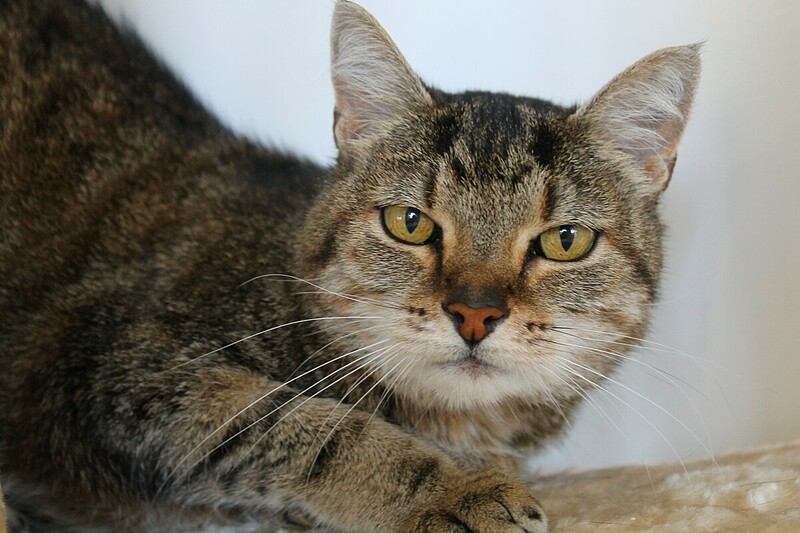 I am Jazmine — the most beautiful, sweet and petite little 10-year-old lady cat you’ll ever meet! I am extremely affectionate and people are my favorite thing. Whenever people come in the Pixie cattery I’m quick to say hello and offer head butts and kisses in return for petting. 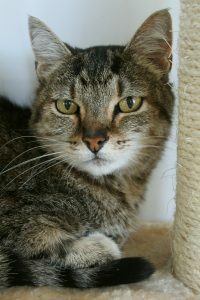 I live peacefully around the other cats here but I am not necessarily buddies with anyone, so I’m sure I’d do fine as an only cat or alongside another mellow, independent kitty. I’m pretty easy going and the only thing I really need is love and maybe a lap! I have already had a dental and am not on any special food or medication, so overall I am extremely healthy and low-maintenance. I’m so lovely and sweet — once you meet me, you’ll wonder how you ever lived without me! Come down to Pixie today and see for yourself! I come to you fixed, vaccinated, and micro-chipped for an adoption fee of $80.